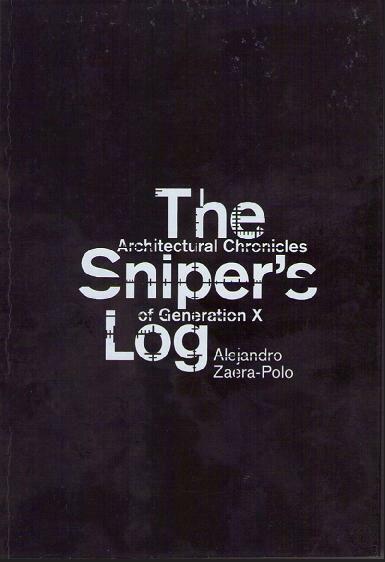 In this compilation of texts written by Alejandro Zaero Polo since 1986 reveals a parallel activity to Alejandro Zaera-Polo's professional life. The book is like a sniper's log, a register of events for the purpose of accumulating experience for future missions, be it academic or professional, trying to identify tendencies and to assess performances, rather than to establish truth. Written for different media and formats (professional magazines, speaking engagements, academic presentations…), the texts are thread together as part of a biographical experience determined by temporal and geographical factors. A graphic texture of nearly 500 images captures the temporal framework of these writings and provide a background to trigger associations. Roemer van Toorn speaks with Alejandro Zaero Polo about The Berlage Menu and architectural education in general.